We want to thank everyone for their concern for the safety of our sailors during and after the events of Sunday, December 18. The most important highlight is that all of 22 sailors returned to shore safely within roughly a half hour of the sudden onset of the 40+ knot winds, and there were no injuries. Each of the sailors competing was wearing the required dry-suit or full wetsuit, and a personal flotation device. During the rescue effort, 10 boats were left out on the Severn River; all were recovered by 2 p.m. on Tuesday, December 20. While the rescue and subsequent boat retrieval efforts have gone exceptionally well, SSA is working to glean “lessons learned” for the future. SSA sailors, race committee, and staff are developing an incident report that will include a full timeline of events and identify lessons learned. While SSA policies and procedures already in place enabled the safe return of 22 sailors and five race committee staff; SSA is collaborating with responding agencies and meteorologists to help us further raise the bar on safety practices. 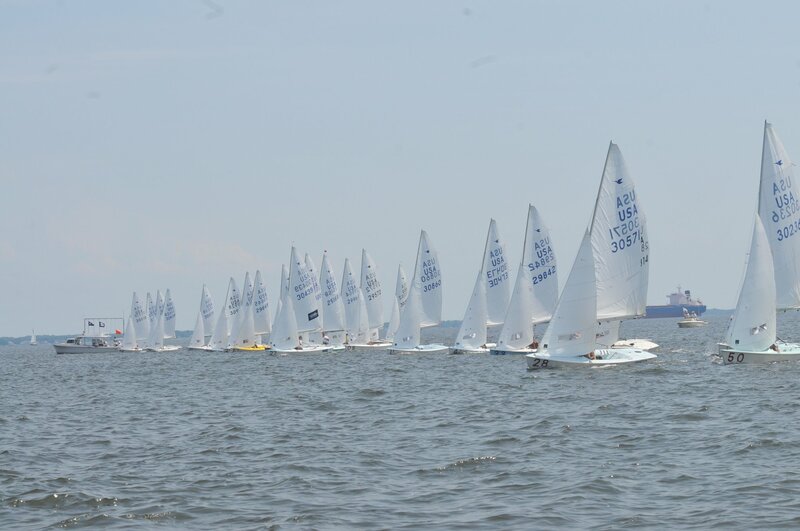 Our intent is to share those lessons learned with other sailing clubs that conduct frostbite racing (including Potomac River Sailing Association, which encountered a similar scenario on December 18) so that they can benefit from SSA’s experience as well. During SSA’s Laser Frostbite sailing series, two SSA motorboats are on the water. Sunday’s safety boat had two operators wearing dry-suits of their own, one of whom happened to be a Coast Guard helicopter pilot. The Race Committee boat was staffed with three experienced boaters who were competitors in the series, but not racing that day. The racing was taking place in Annapolis Harbor, less than a half mile from our dock. SSA is a dinghy racing club where members and guests compete in sailing small racing sailboats. 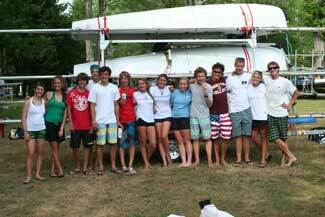 We have members who compete in a variety of different types of boats and at local, national, and international events. During the winter, some members who want to continue to sail get together on Sunday afternoons to sail Lasers, a class of 13 foot singlehanded boat that is also used in the Olympic sailing competition. The competitors who race during the winter are experienced sailors. The younger sailors in the series are among the most experienced and accomplished competitors in the group. We do not permit anyone to race during the winter without appropriate safety gear. The race committee and safety boat are staffed each weekend with sailors who are participants in the series. This means both the committee and safety boat are staffed with active sailors who are familiar with the boats, the sailors racing, and the typical conditions. As experienced sailors, our winter sailing competitors expect to capsize occasionally, and are all prepared and properly equipped to do so. The Laser is a self rescuing boat, and typically a capsize is followed by a quick righting of the boat and sailing away. Our races are supported by safety boats to assist sailors should their boats breakdown or should they need other assistance. Our on-site safety boats are capable of providing support to multiple capsized boats. When weather conditions change rapidly, and our on the water support is no longer capable of ensuring the safety of all competitors, we are able to get additional safety boats from SSA to the racing area in a very short time (on Sunday two additional safety boats were on station within minutes). It is unprecedented in our series to need assistance beyond this to safely support winter racing. As sailors, each of us monitors weather forecasts and conditions. Our race committees cancel racing when forecast conditions are unsafe or when conditions change and become unsafe. During any event, our race committee continues to monitor multiple forecasts and weather reports. We all understand conditions can change and earlier forecasts may not remain accurate or true to the conditions that actually occur. Our race committee is charged with cancelling racing any time forecasts or actual conditions indicate that severe weather may occur in the racing area during the event. In such event, competitors would be notified and required to immediately return to harbor. The conditions initially forecast for Sunday were for light winds increasing to windy, but within the range of typical winter conditions that we sail in, and have been sailing in for many years. A photograph from the Race Committee boat at 2:01 p.m. showed flat calm water with barely a breath of air. Conditions remained so for several more minutes. At approximately 2:15 p.m., the wind began to pick up to a moderate breeze of approximately 10 miles per hour, however after that, conditions deteriorated so quickly, with winds over 40 miles per hour coming straight down the Severn River and large waves rolling down the river, that by 2:17 p.m. the Race Committee had radioed the United States Coast Guard and was in the process of calling local first responders for assistance. The response by the United States Coast Guard, Annapolis Fire Department, Maryland Department of Natural Resources, Maryland State Police, Annapolis Yacht Club, and several private boats that were in the area, was nothing short of amazing. Within minutes of the distress call, the mouth of the Severn River was covered with responding vessels. Because the extreme conditions persisted instead of subsiding, 10 sailors were pulled from their overturned boats and from the water. The other 12 sailors sailed their Lasers to shore. By approximately 2:48 p.m. all sailors had been accounted for and confirmed safe. The last sailor out of the water was likely out well before that. In collaboration with the U.S. Coast Guard and Maryland Natural Resources Policy, SSA staff and members carried out a number of boat recovery missions on Sunday late afternoon, Monday, and Tuesday following the event. This was done not only to return boats to their owners, but to minimize the hazards to navigation for other mariners. As of 11 a.m. on Tuesday, December 20, nine of the 10 Lasers had been recovered, and a search for the final boat was continuing. Severn Sailing Association is extremely grateful for all who rendered assistance. Making a call for assistance is something we hope never to have to do, and is not a call we make lightly. The fact that all sailors returned to shore safely resulted from a combination of the precautions taken by the competitors and Severn Sailing Association, particularly the mandatory safety gear, and the prompt and professional coordinated response of several agencies’ first responders, whom we again thank for their able assistance.